Surabaya, the largest city of Java Timur (East Java). 26 hours of travel and we are in Indonesia! As we leave the terminal, the equatorial humidity washes over us and our jet lagged exhaustion dissipates into excitement. We wind our way through an hour of traffic and to the hotel lobby where we meet Nurisiani, our contact from the consulate. Within 15 minutes of arrival we are whisked away across the street to an old Dutch built restaurant with a beautifully decorated dining room. First served is a glass of fresh young coconut juice as our host from the San Francisco Consulate, Hangirro, introduces himself and lays out the goals of our tour. We are here to learn about Jawa Timur through the lens of the coffee. We will be visiting coffee farms, processing facilities, traditional restaurants and coffee shops (Kedai Kopis), meeting government officials, spend time at the Indonesian Coffee & Cocoa Research Institute and experience two of Indonesia's most incredible natural wonders (Gunung Bromo and Kawah Ijen). And we will be doing all of this in 4 days. Trevin Miller - traveling with us from Portland, owner of Mr. Green Beans on Mississippi Ave., coffee mage, can talk at length about any aspect of the coffee process. Yuanita Rachma - Surabaya based coffee supplier and herbal healer, human encyclopedia of all things Indonesia. Hangirro Setiabudi Our kind and quick witted representative of the Indonesian General Consulate in San Francisco. Nacko Owner and Manager at Kopi Coffee House in Portland. Lia Zen Amazing chef and Kopi roaster. Owner of Jungkir Balik Coffee in Surabaya, home of the one of the most outstanding espresso blends in the world. Also makes gorgeous Bakso at Bakso Cak To. Daroe Handojo One of our guides, a lovely man and Representative from SCAI (Specialty Coffee Association Indonesia). Me (Xua) Kopi Roaster and owner Kopi Coffee House in Portland. Nurisiani Syarief wonderful organizer and representative of the Indonesian General Consulate in San Francisco. Rori Garini coffee enthusiast who just retired and wants to spend her retirement opening high end coffee shops in Indonesia. Gunawan Kosasih photographer, barista and coffee enthusiast. Robert owner of Qimbiz Coffee, an Indonesia Specialty Coffee exporter. Darmo Santoso owner of My Kopi-O! 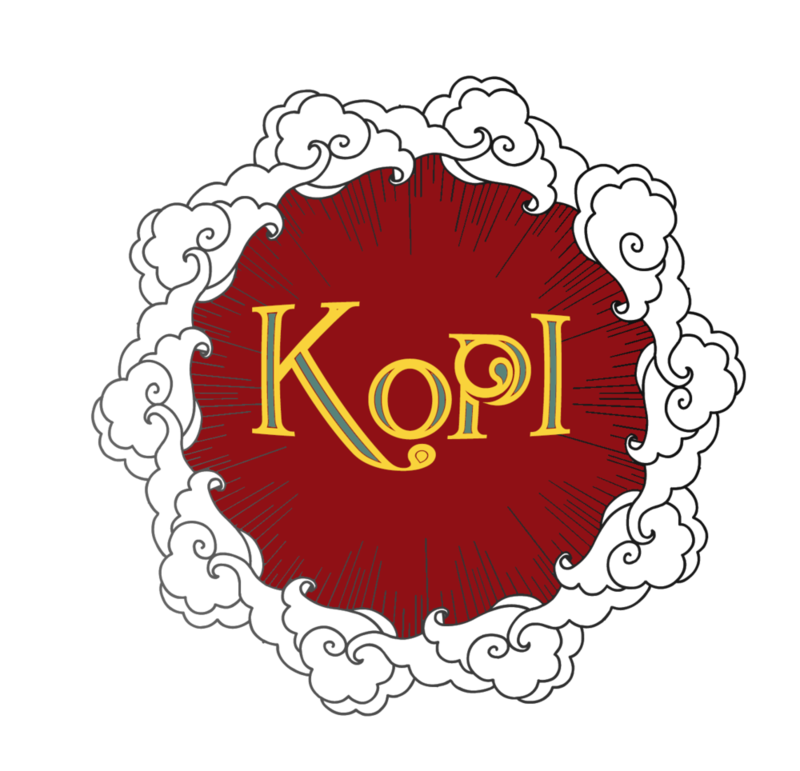 Indonesian Coffee Shop Chain with over a dozen stores. Bunnie Usman Promotional/ Travel agent for Indonesia based in Sonora, California. Canadianty Suny (not pictured) Owner of a San Diego based Indonesian Food Caterer.